Although Start Point has a tidal race, in fair weather near slack it’s an easy run from Dartmouth to Salcombe, looking welcoming from offshore despite the rugged grandeur of Bolt Head on the west side. As you peer in through the narrows, the sun often catches the desirable residential slopes of this peerless Devon town. A few gleaming sails usually show where the channel jinks to starboard past Wolf Rock and Sunny Cove. 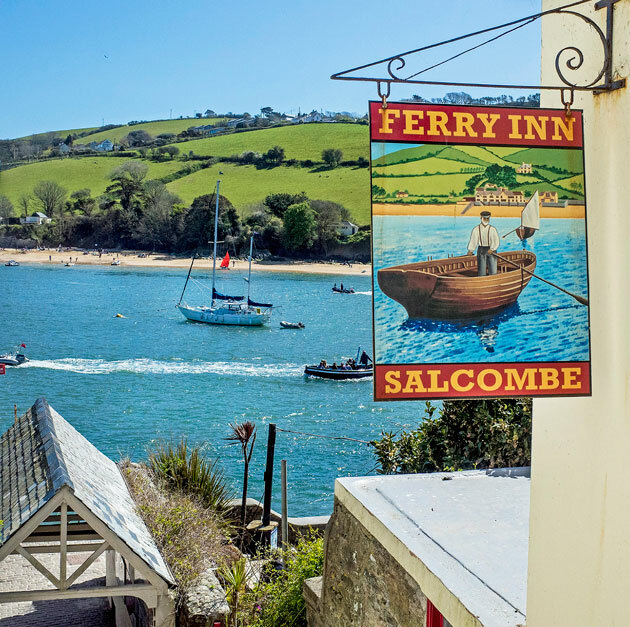 Salcombe has no marina, a luxury which has preserved the old style atmosphere of this fun-loving harbour. There are visitor buoys and water taxis, and from a prime site swinging mooring you can watch all the comings and goings. Landing at Whitestrand pontoon you are right in the centre of things and the convivial summer hubbub is rather relaxing. The town is an agreeable blend of traditional Devon and metropolitan chic on hols. 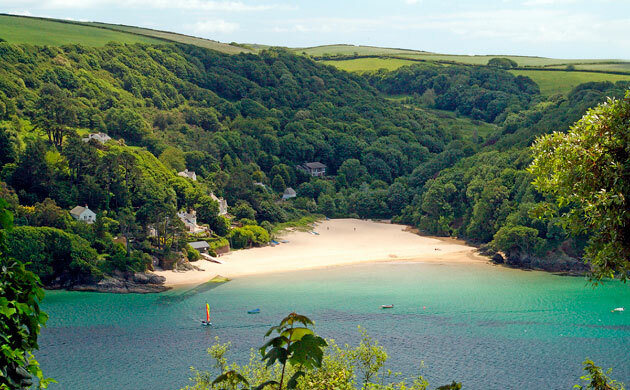 Sunny Cove (pictured above) is just inside Salcombe entrance with a golden sandy beach. Elender Cove is a dramatic cleft in the cliffs near Prawle Point, snug overnight in offshore winds. Hope Cove is an ideal lunch stop between Salcombe and Plymouth, tucked behind Bolt Tail. dickandwills waterside brasserie is on Fore Street (turn left after landing) with a deck overlooking the estuary. The Ferry Inn (pictured right) has bars on three floors, estuary views and a waterside garden. Don’t miss lunch at the stylish Hope and Anchor in Hope Cove.